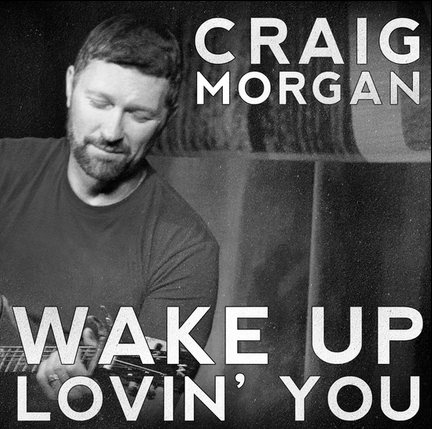 Craig Morgan is back with a new song that could be his biggest yet. Craig Morgan has had an interesting career in country music. He struggled early on and didn’t find success with his first record label. That is the end for most artists, but Craig stuck with it and later had huge success on Broken Bow. Craig moved on to BNA for a record and then parted ways to pursue a career in reality TV, which made him a star in another right. But while Craig was off doing TV he got the itch for music again and teamed with Black River to create This Ole Boy, which was a huge hit single. Now Craig is back with another new single on Black River and it sounds like another smash hit. Once you get a chance to listen to the song you’ll think it’s starting out like a love song that sees two people falling in love at first sight on the dance floor, but that’s only a slight trick in the lyrics. This song has a deeper story than just a one night stand. The story finds a guy trying to get over the memory is his former lover. He can go to bed with someone else and try to drown away the sorrows in whiskey, but there is no way he can go to bed and wake up the next day without thinking of her. The memory and love is like a curse. It hurts. It makes the guy crazy and he doesn’t know what to do to get over the love he still has. Craig has accomplished so much already in his career, but this song has the sound of the kind of hit that can really shoot a career into stardom. Craig is certainly already a star, but this one has crossover appeal. I think a lot of people are going to like the story and the production of the song.